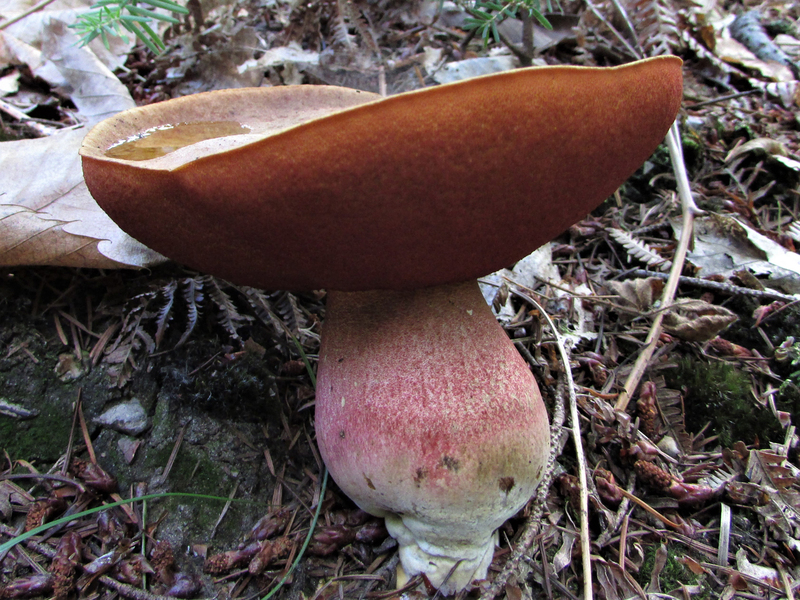 The Scarletina Bolete, Neoboletus praestigiator (known before as Boletus erythropus or luridiformis). 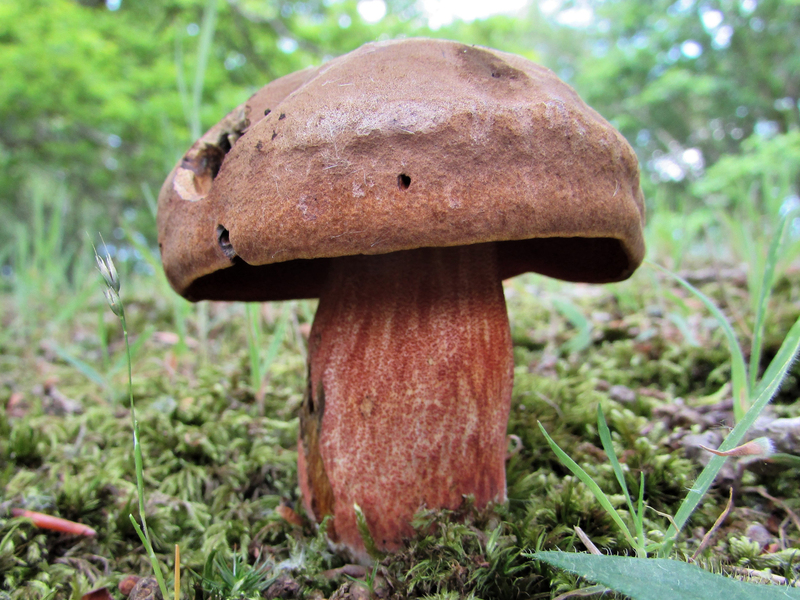 This mushroom is a great edible if well cooked but great caution should be taken in distinguishing it from any toxic Boletes, not a mushroom we recommend for the novice forager. 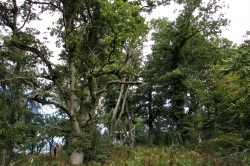 Read the facts at the end for more details about its scientific name. 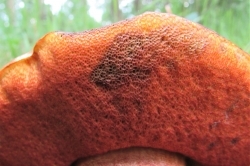 The caps starts bay to brown and velvety but soon becomes smooth, the edge of the cap is usually lighter, the whole cap can lighten with age. 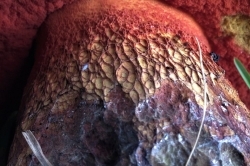 Has sponge like pores starting yellow-orange and becoming red-brown, sometimes staying lighter around the edge. 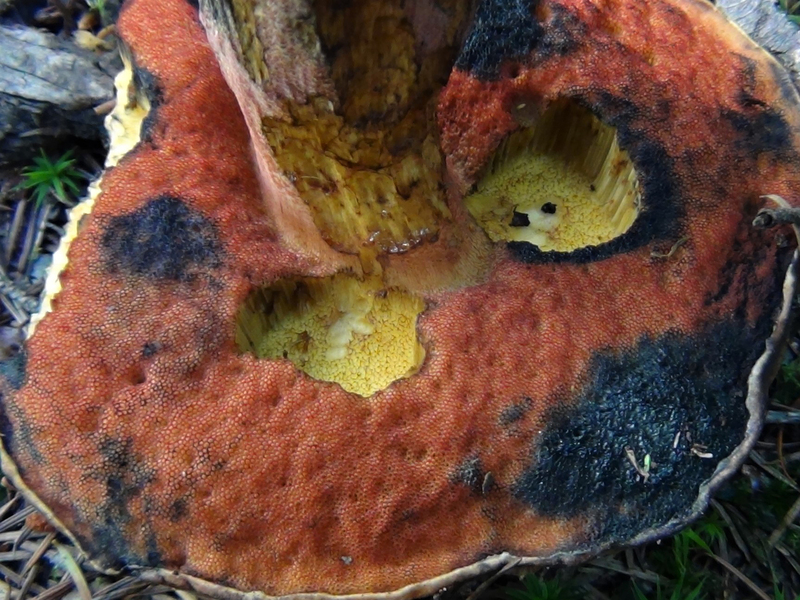 The pores bruise easily and stain dark blue to black. 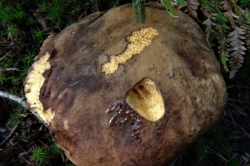 The stem is yellow with a dense covering of red dots. 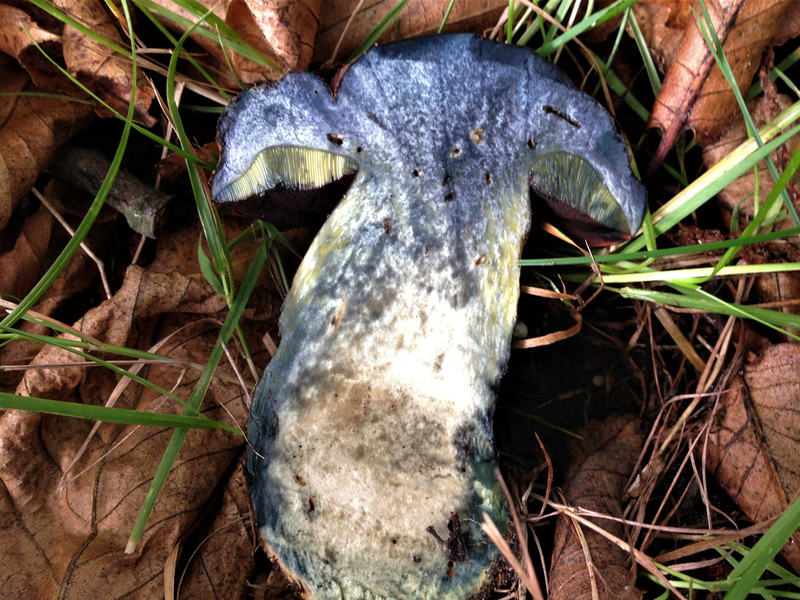 Where touched it tends to discolour to dark blue/black. 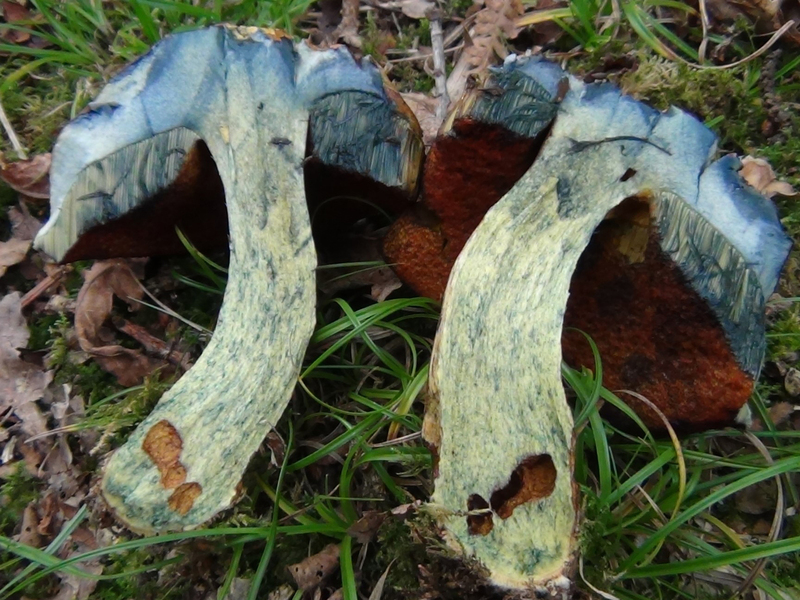 Sliced down the middle the flesh turns instantly dark blue-black especially towards the base of the stem. 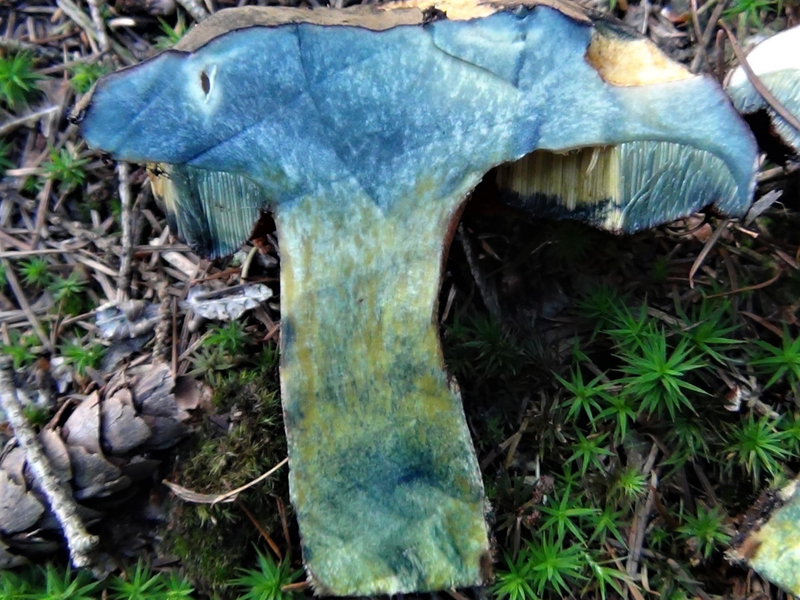 The flesh starts yellow but stains instantly blue-black when exposed to air, this fades after some time. 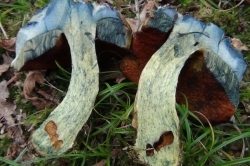 It doesn’t retain the blue staining after cooking. 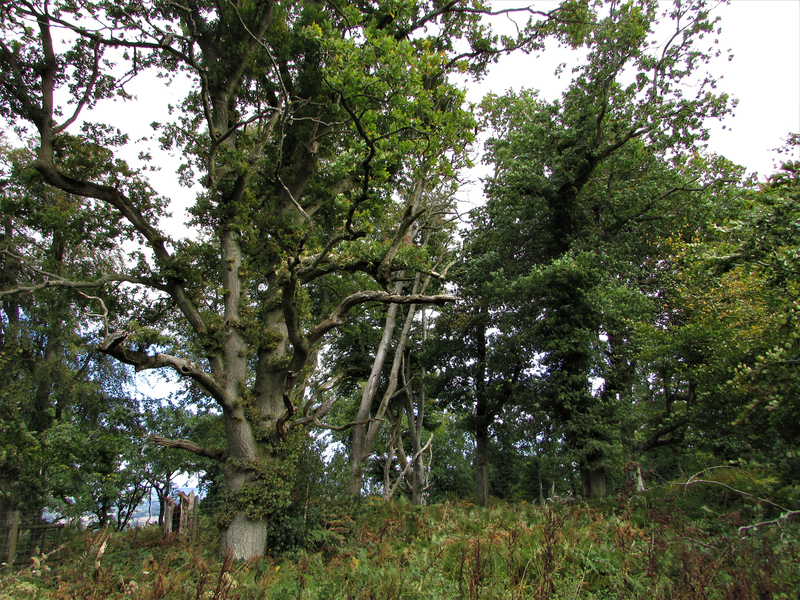 Mostly associated with Beech and Oak but can be found in mixed or coniferous woodland. 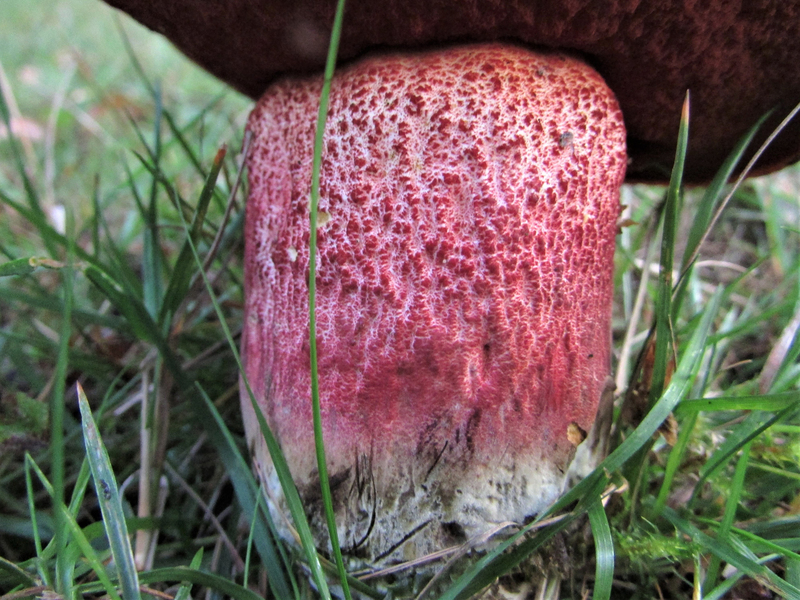 The Lurid Bolete, Boletus/Suillellus luridus can look similar but has a red mesh on the stem, pictured, unlike the red dots on the Scarletina. 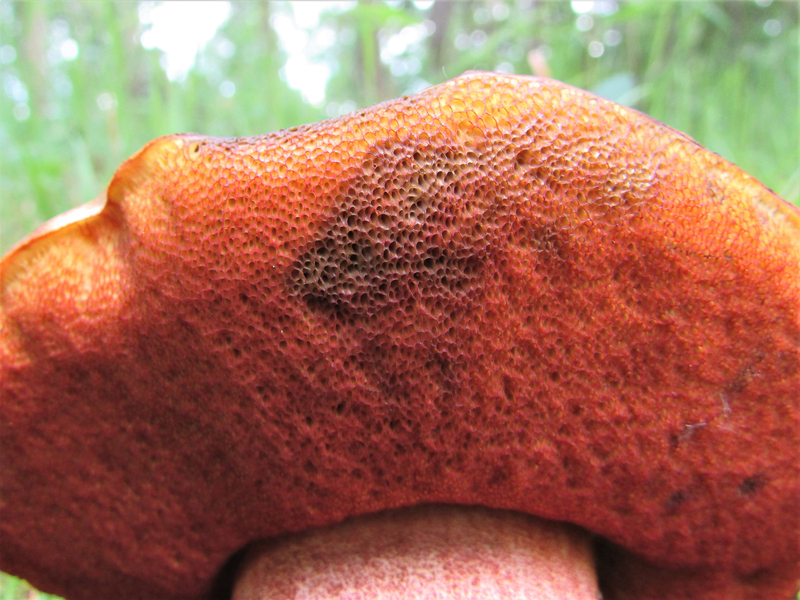 Most toxic Boletes will have a mesh pattern on the stem rather than dots. 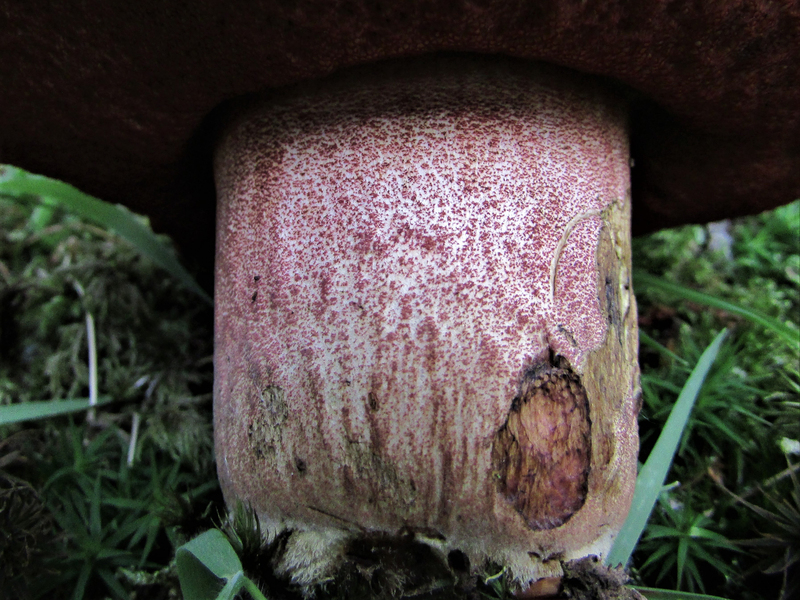 In particular the Devils Bolete, Boletus/Rubroboletus satanas is a really toxic species, but again it’s possible to tell the two apart by the spots of red on the stem of the Scarletina while the Devils Bolete has a red mesh. 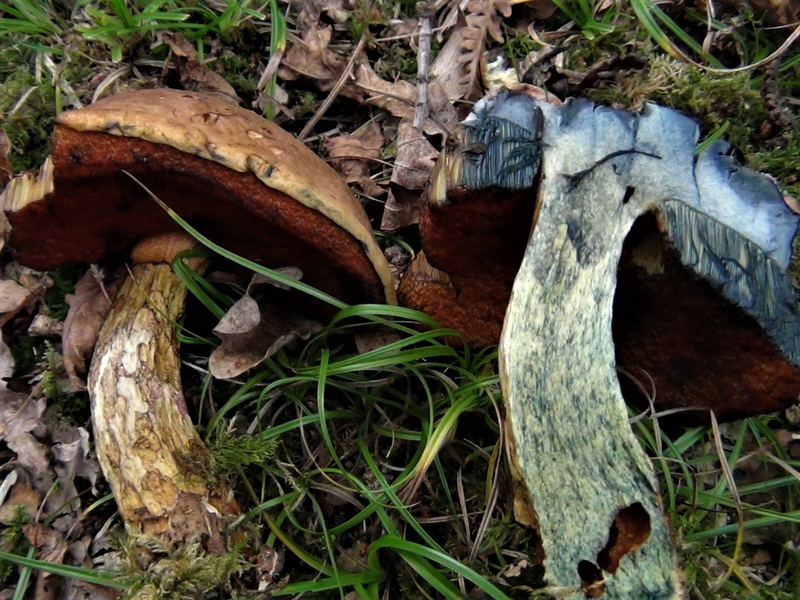 Also the cap of the Devil’s Bolete being a chalky white but this is less reliable as the cap can fade on older Scarletina Boletes. 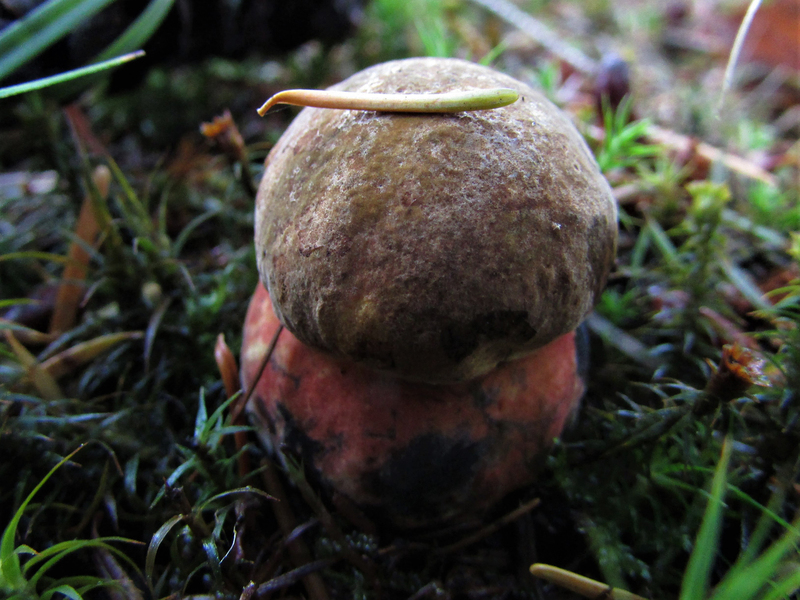 The Deceiving bolete, Boletus/Suillellus queletii also has dots on the stem but they’re yellow to buff/grey and not red. 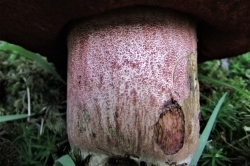 When cut in cross section it also turns blue but the flesh at the base of the stem should have a vinaceous red colour. 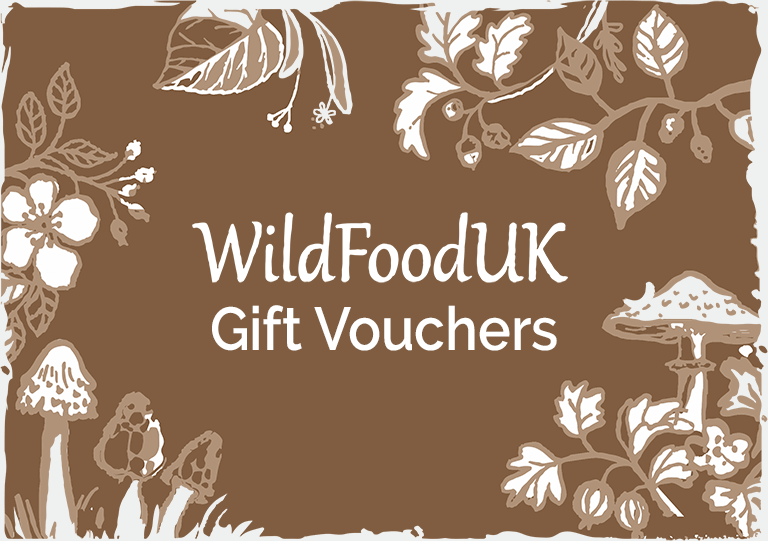 Confusing the two would be a harmless mistake as it’s also edible after cooking and very good. 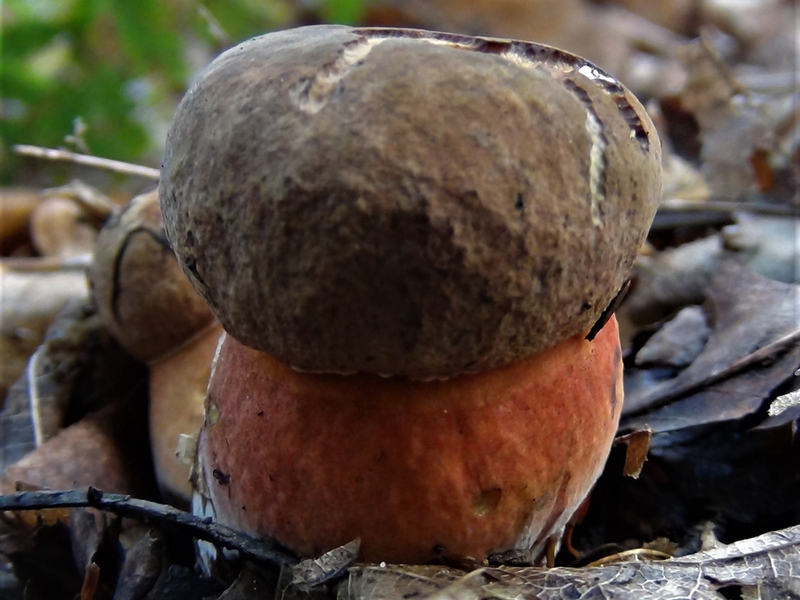 Similar to a Penny Bun. Must be cooked before consumption. 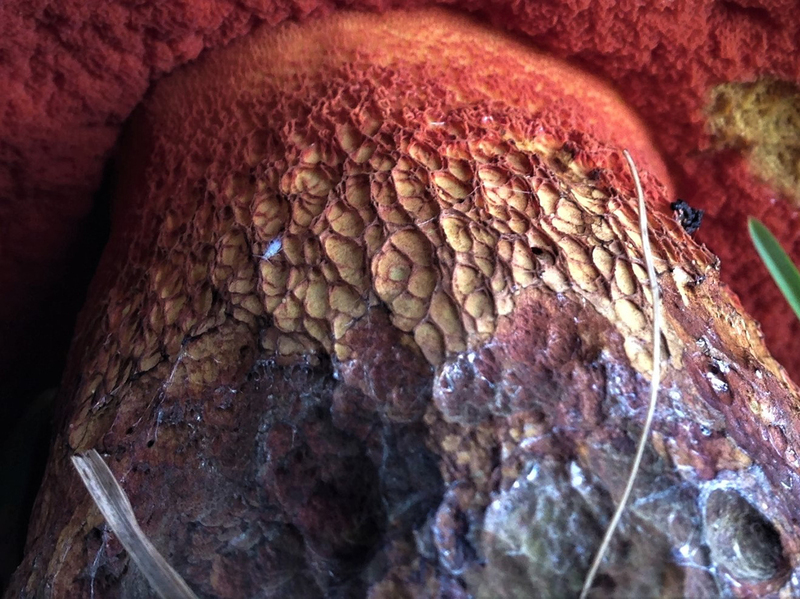 A tasty mushroom but great care should be taken identifying this fungi. 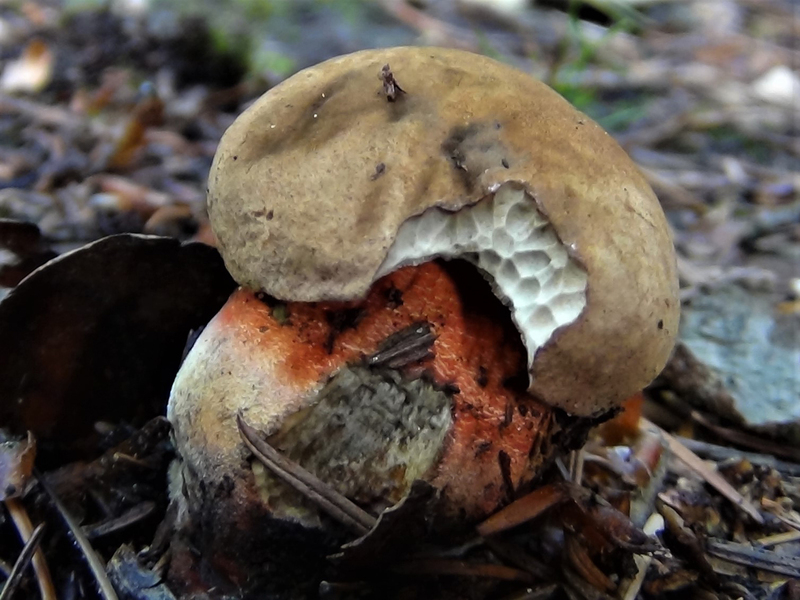 For a long time this familiar species was known to most as “Boletus erythropus” and that was the name found in most field guides. 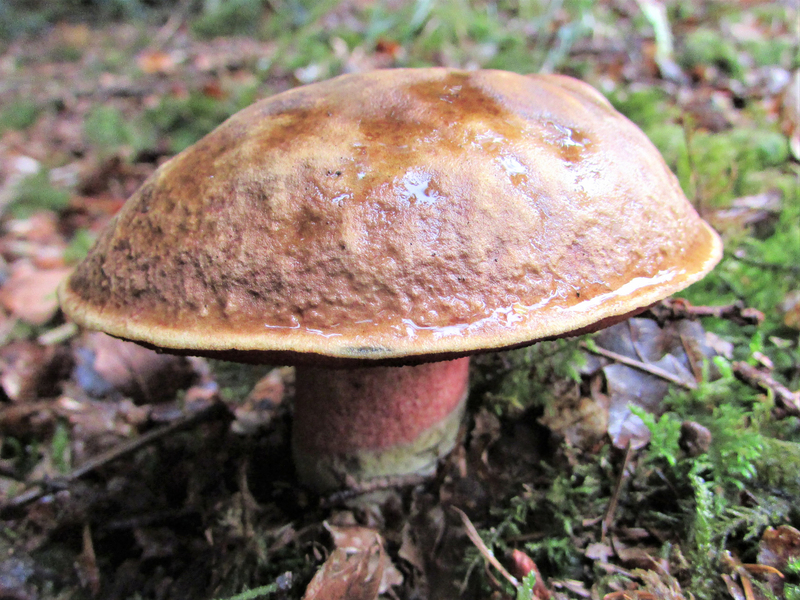 Modern DNA studies split Boletus into smaller genus allocating this one in Neoboletus. 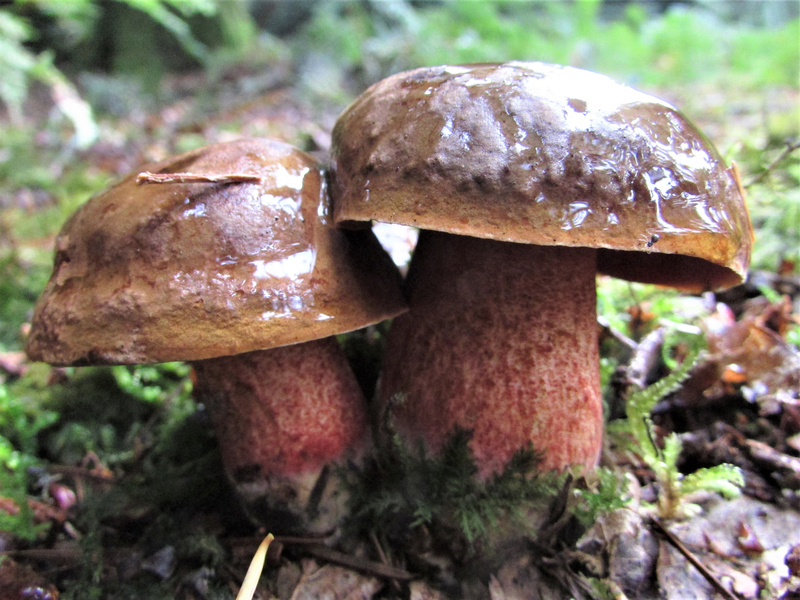 More recently it came to light that the name “erythropus” had been previously used for a different species of Bolete which makes the name scientifically invalid. 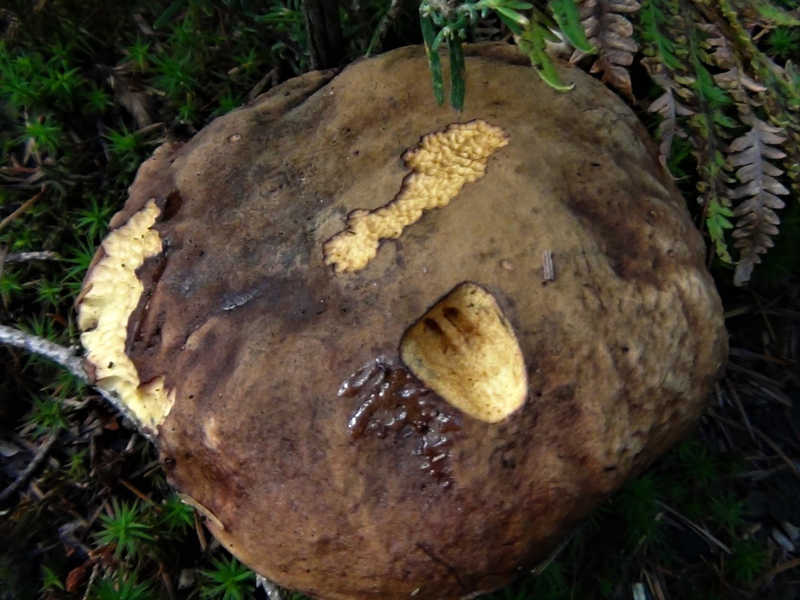 Recent books list it as “Neoboletus luridiformis” but “luridiformis” isn’t a valid name under scientific rules either, and apparently “Boletus praestigiator” was the first valid description of this species. 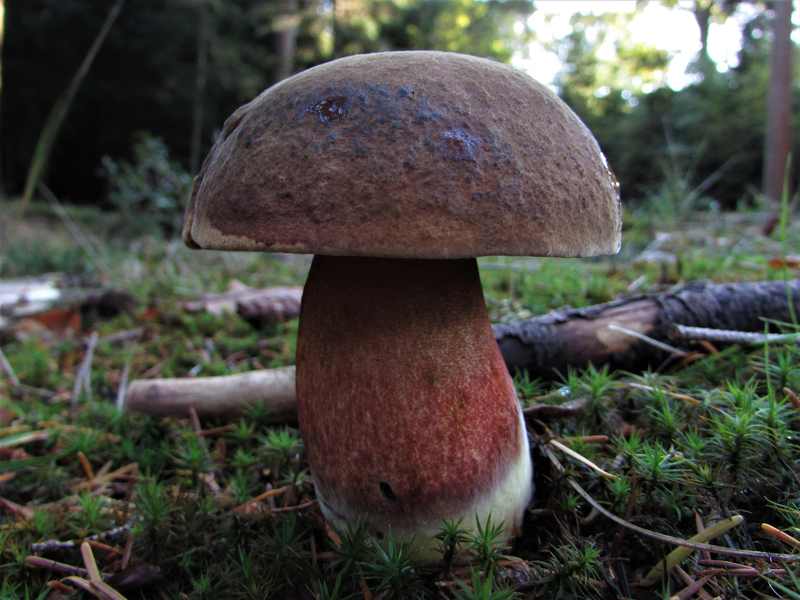 Newer books published after 2017 should be naming it as “Neoboletus praestigiator”. 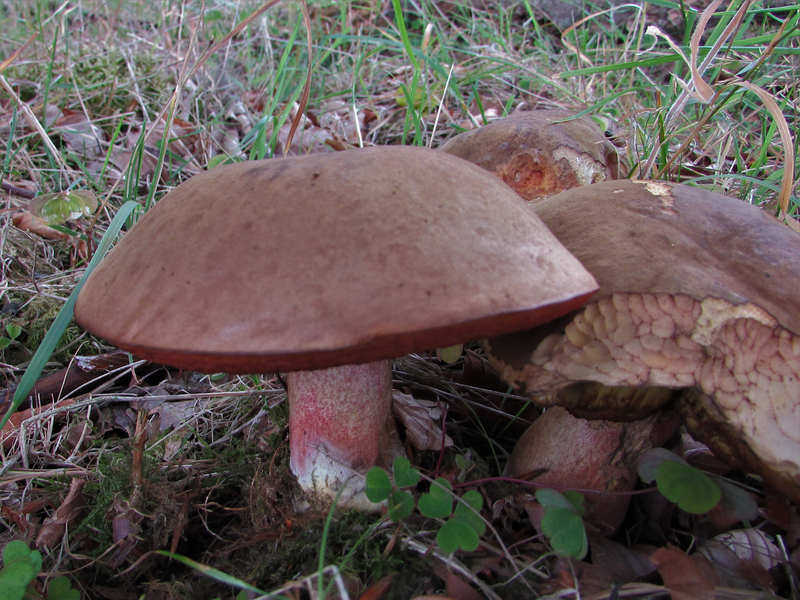 Furthermore, the Neoboletus group has a second species, currently named Neoboletus xanthopus, that is extremely similar to the Scarletina Bolete and impossible to differentiate without a DNA analysis. 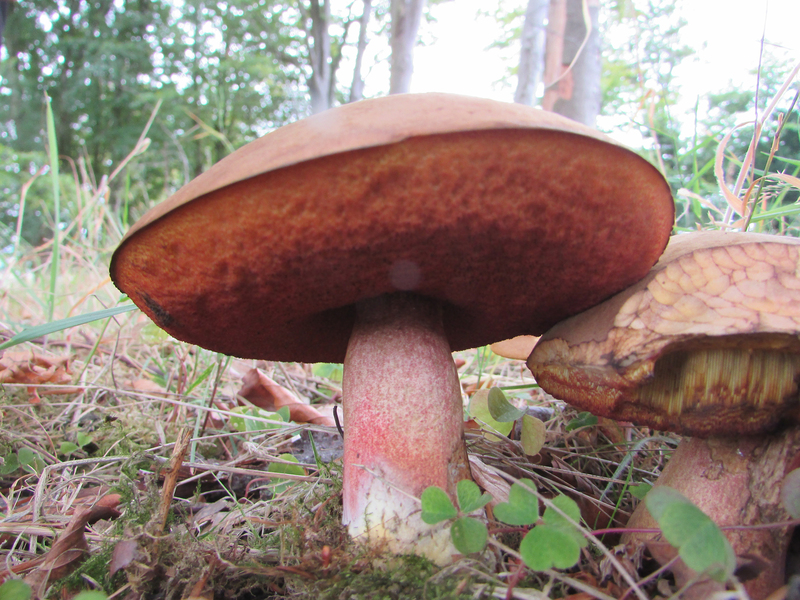 Thankfully this second species is equally edible and it’s irrelevant to a forager to distinguish them so we treat the whole group here under Scarletina Bolete.